A newly furbished site which documents the many facets of Universal Medicine, www.universalmedicine.net is a very visual look at the breadth and depth of Universal Medicine's worldwide activities. Before and After Photos of Universal Medicine Students catalog the many miracles taking place in the student body as deep self-care is lived and embraced and photos of the many retreats, workshops and student projects taking place across the globe are illustrated in extensive galleries across the site. 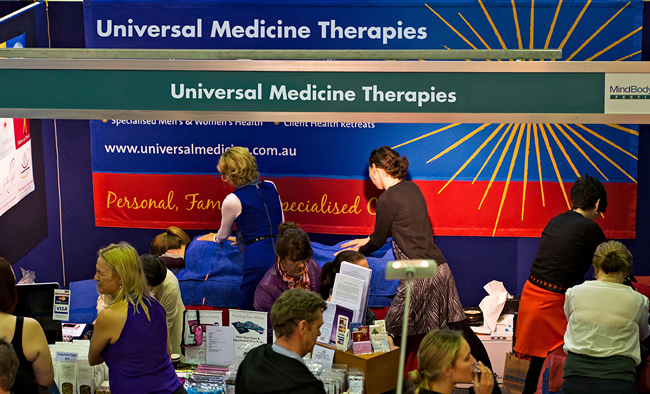 Following hugely popular demonstrations at the Sydney, Perth and Brisbane arm of the festival, Universal Medicine trained practitioners again brought their expertise to the Mind Body Spirit Festival in Melbourne this month. Coordinator Terri-Anne Connors said it was a joy to share the deeply powerful esoteric healing modalities with the public. I have worked for 15 years in personal and group fitness training and for 7 years in the public health care system, in hospitals, clinics and nursing homes as a registered allied health professional (Exercise Physiology). In these years I have worked with thousands and thousands of people, who come for support to improve their health, physical function, psychological wellbeing and overall quality of life. Around 80% of the clients I have seen have some sort of a chronic illness or injury and are taking ongoing medications and receiving treatment and care from other allied health professionals such as psychologists, physiotherapists, massage and acupuncture therapists or even spiritual healers. Universal Medicine is profoundly honoured to present: Truly Deeply Beautiful. Esoteric Women’s Health in collaboration with Real Media Real Change have produced a film which is so unlike anything currently available. 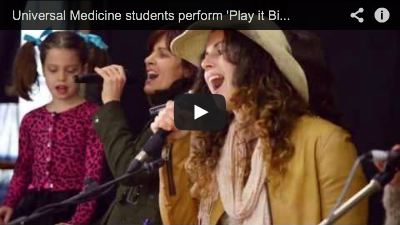 Recently the students of Universal Medicine organised an event called "Play it Big". The event took time out of everyone’s busy schedule to celebrate the amazing quality of life lived on a daily basis and the time many contribute to writing the awe-inspiring content that has been gracing the internet for the past year on the Universal Medicine Student Blogs.